This Whistle Stop Tour was written exclusively for Fethiye Times by Casey Russell. I wrote a short while back about the Bozburun peninsula, a stunning piece of land that acts as the southern flank to the Hisasonu Gulf. It’s neighbour is the better known, Datça peninsula. It’s a long, ragged finger of land that stretches westwards for miles on end towards the open ocean and a maze of Greek islands. 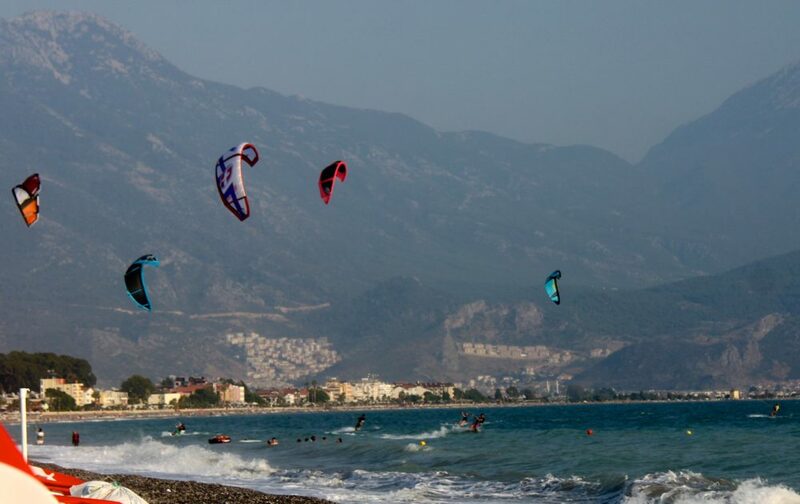 It’s where the Aegean Sea And Mediterranean Sea meet, and thanks to the prevailing Meltemi wind, locals claims the air has the richest oxygen levels in Turkey. Datça town, located about half way along the peninsula on the southern side, is a wonderful harbour town that makes for a brilliant place to start exploring. It sits on two sides of a headland. Besides Marmaris, the town is probably the busiest place in the area, but this doesn’t mean it’s crowded. The street layout is wide, and the seafront promenade has many restaurant which make for beautiful places to dine. Datca promenade. Photograph by Casey Russell. 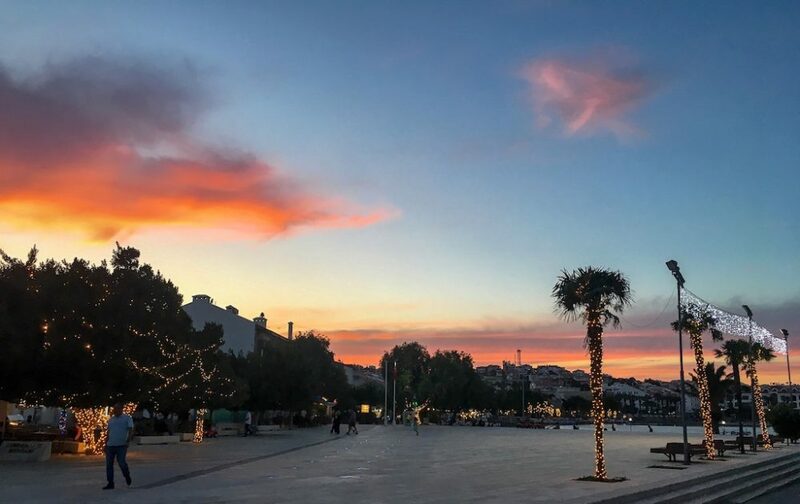 The town itself doesn’t have any specific sights, but what we enjoy about this splendid town is its boutique feel, along with a wide range of shops and restaurants. The beach isn’t too bad either! 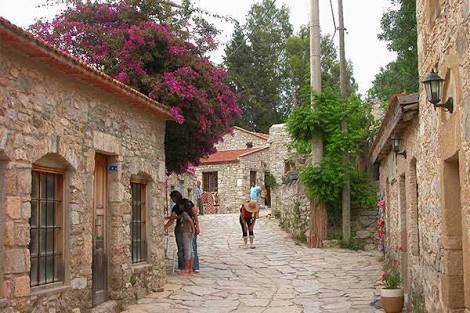 If you were to venture inland a few kilometers, you’ll come across Eski Datça, the old town. Here, many lovely stone houses and cobbled streets make for a pleasant wander. It’s been very well restored, and does have accommodation and restaurants available if you want to experience a more “traditional” Turkey. Above Datça, is the award winning Datça Vineyard and Winery. 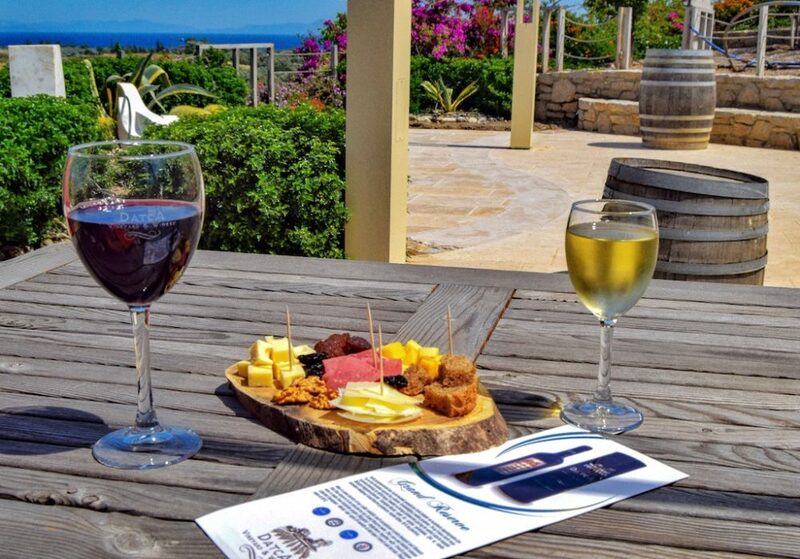 Built upon a hill overlooking the town and sea, they offer several experiences, such as the harvest where you can help pick the grapes from the vines. Another experience available to customers is wine tasting. The staff teach you how to tell the difference between wines. Wine tasting at the Datça winery. Photograph by Casey Russell. The İşleyici family, who own the winery, are friendly and open to all visitors. They started making the wine in there home, but later moved to Datça so they could,”share their wine with friends”. There are many other wineries along the peninsula, all of which have a wide variety of exquisite tipples. 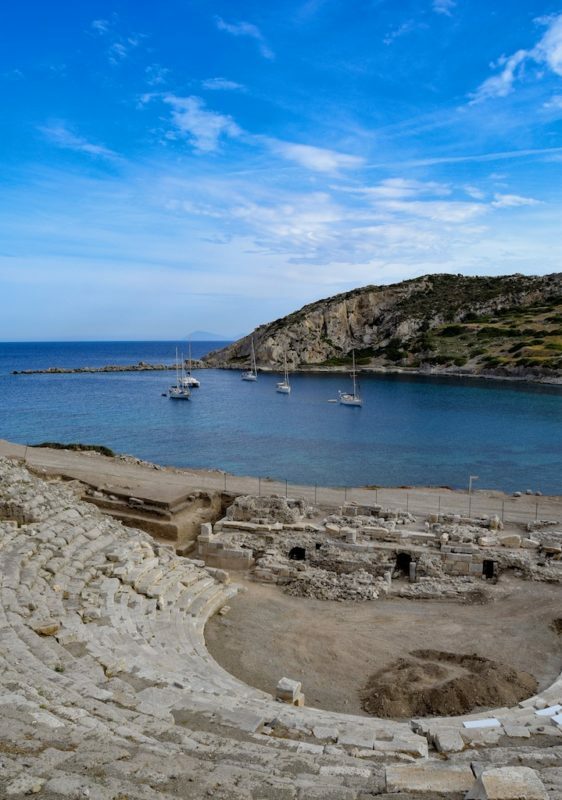 The ruins of Knidos are situated at the end of Datça’s peninsula, some 35 kilometres from Datça town, and are acssesible by car. The ruins are probably some of my favourites in Turkey, if not the Mediterranean, since they sit in a beautiful bay. Knidos archeological site. Photograph by Casey Russell. The protected bay has a single restaurant in it, and is a popular spot for yachts passing into the Gulf of Gokova from the south. This town was one of the most prosperous towns in the area during antiquity, and you can explore the well kept ruins, which include a theatre, agora, several temples, houses and at the bottom, relics such as statues and columns. With its dramatic landscape, brilliant views, fascinating ruins and overall serenity, you’ll easily understand why I love it here. Palamut, a small harbour halfway between Datça and Knidos, is another popular stopping place for yachtsmen and can also be reached by road. The small village hasn’t many shops, but does have a wide selection of varied restaurants, all selling freshly caught fish and seafood. This bay also offers a long, pebble beach which has fine, crystal clear waters. Palamut harbour. Photograph courtesy of Marina Reservation. Bencik Kuyu is at the very start of the peninsula, at the narrowest part. Being only a mere 800 metres coast to coast, locals call it Balıkaşıran, meaning “the place where the fish pass over”. Bencik was also rumoured to have several sharks living there. These sharks, however, seem as common as the Loch Ness monster, but if you do scan the water, you may see one turtle or two. From Datça you could take the short crossing to Symi, the beautiful Greek island that you’d think would be Turkish. Here, you can admire the pretty coloured buildings, and you could dine at the wide variety of restaurants that sit on the Harbour front. 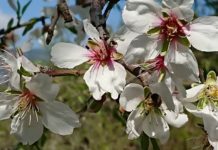 Or if you fancy staying in Turkey, you could take the car ferry from Kormen on the north coast of the Datça Peninsula, across the Gulf Of Gökova, and go to the bustling city of Bodrum. Here, you can go shopping at the grand bazaar, or explore the hidden backstreets. If your interested in history, the Castle of St. Peter is incredible, not only because it’s so well kept, but also because it exhibits many ancient jars, vases and many other interesting pieces. 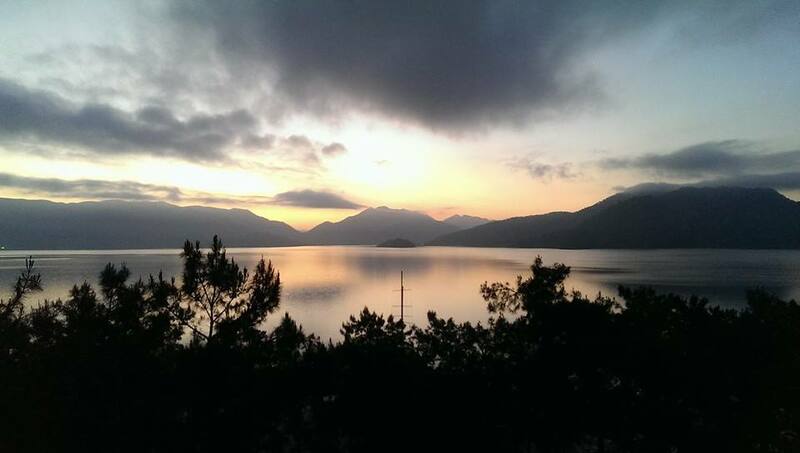 To get to the Peninsula from Fethiye, go on the D-400 heading west, towards Datça. This is about a three hour drive. Buses are available, and taxis are more then happy to drive you there. “I am Casey Russell, a 15-year-old home schooled traveller, writer, photographer and sailor. I live aboard my familys Oceanis 45 foot sailing yacht and travel extensively throughout the mediterranean for most of the year exploring the lost islands and hidden archaeological treasures of the region. Photography is a hobby of mine and this year i am keen to explore new techniques and effects, the articles that I write are always accompanied by awesome images.